Real Madrid waste little time dispensing with Benitez. No longer an ex-pro...Urby Emanuelson has joined Verona until the end of the season. • Former Holland wingback Urby Emanuelson – who has been without a club since his contract at Atalanta expired in July – joined Verona, who are bottom of Serie A without a league win all season. • Peter Bosz left Dutch side Vitesse to take over as coach of Maccabi Tel Aviv in Israel. The 52-year-old replaces Slavisa Jokanovic, who moved to Fulham in December. • Former Tottenham Hotspur striker Mido is appointed coach of Egyptian champions Zamalek for a second time, replacing Brazilian boss Marcos Paqueta. • Ex-USA goalkeeper Brad Friedel – who retired as a player last year following 17 years in England with Liverpool, Blackburn Rovers, Aston Villa and Tottenham Hotspur – was named coach of the United States under-19 side. 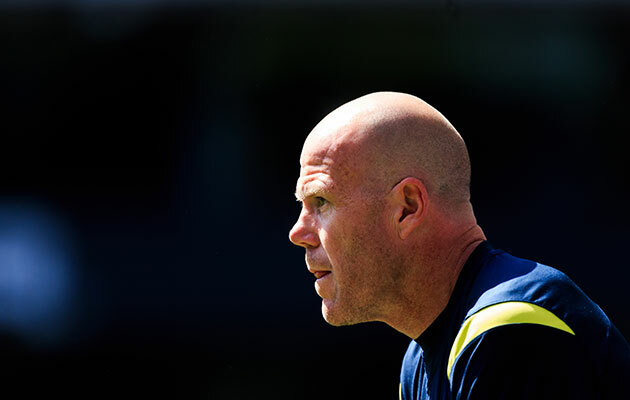 Brad Friedel has been appointed coach of the United States Under 19 team. • Rafa Benitez’s ill-fated spell in charge of Real Madrid has come to an end after the Spanish club fired the 55-year-old less than seven months after he was appointed. The final srtraw for the former Valeincia, Liverpool and Chelsea manager was Sunday’s 2-2 draw against Gary Neville’s Valencia.